Do you need something exciting in your life to get your pulse racing, your heart pounding – something that will get you excited and keep you excited? 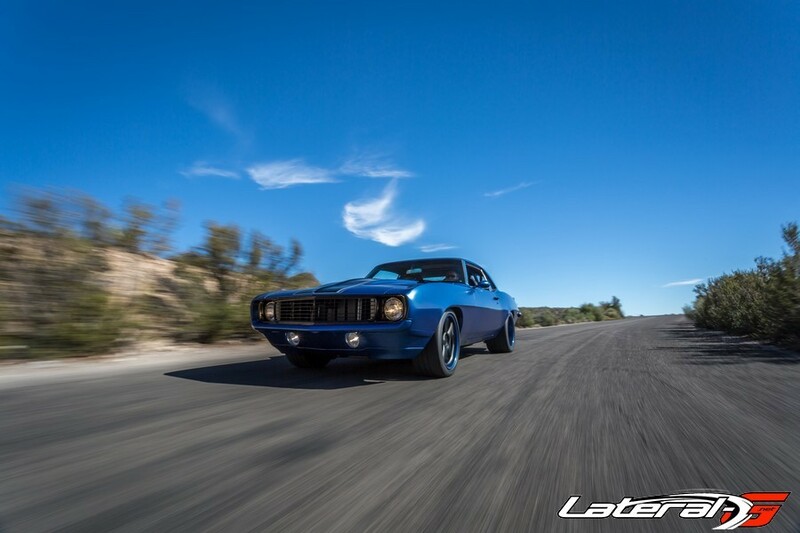 Say hello to the newest addition to the CR Supercars family and the answer to all your personal woes – the 1969 CR1 Camaro. 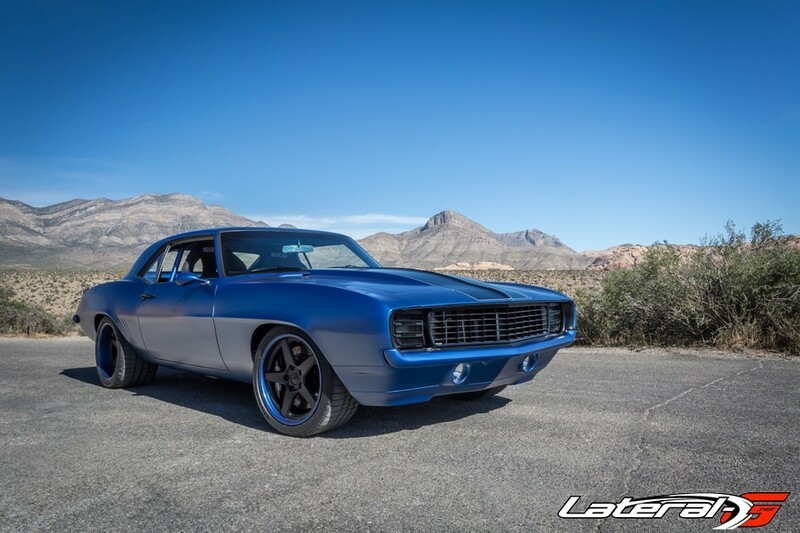 The pro-touring Chevy was unsheathed at the 2015 SEMA Show in the Centerforce Clutches booth in Las Vegas – the perfect city for the “blue pill” of the automotive industry to make its worldwide debut. 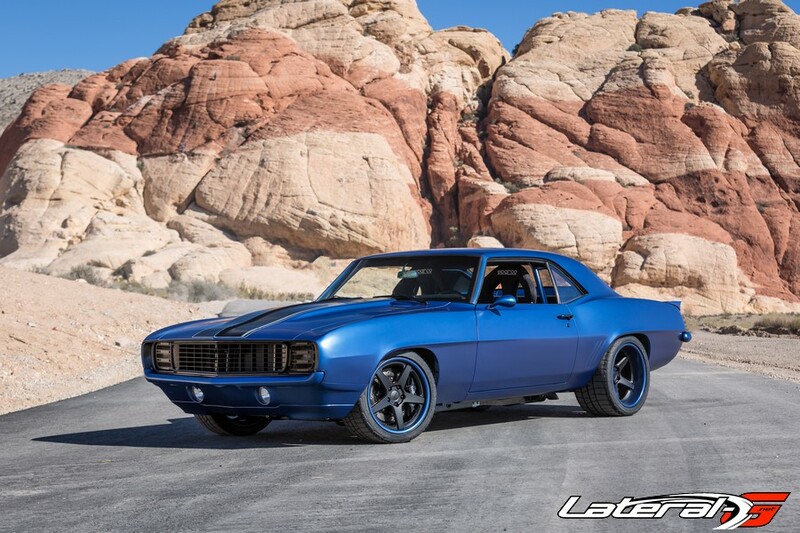 This particular CR1 started life as a stock 1969 Camaro which was then straightened and fettled with a combination of classic restorative body work techniques and new panels from Dynacorn. Next a custom CR Supercars-designed rear spoiler and front fascia were fitted, the latter featuring PIAA driving lights. 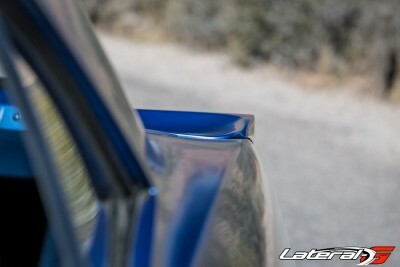 The car also benefits from Eddie Motorsports billet taillight frames, door handles and hood hinges. 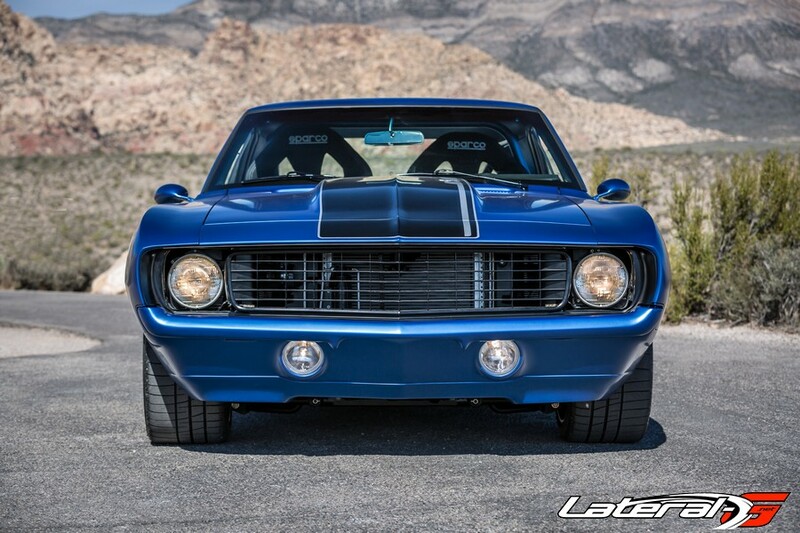 The exterior was finished in a custom shade of matte blue metallic paint from BASF Glasurit. Under the hood, the stock engine is removed and replaced with a modern 505 horsepower Chevrolet Performance LS7 crate engine which has the benefits of being extremely light, durable, modifiable and easily serviceable. 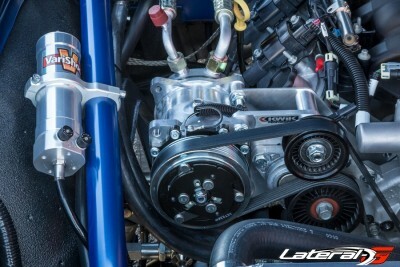 A Concept One pulley system dresses up the engine and adds to performance while custom long tube headers, 3-inch mandrel bent exhaust pipes and MagnaFlow mufflers make sure the LS7 breathes properly and sounds great. 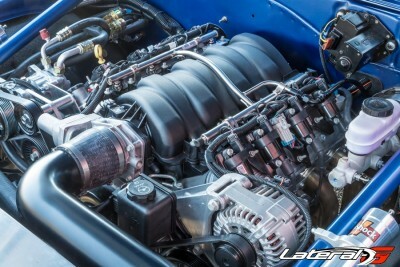 Fueling the LS7 is an electric fuel pump and a Rick’s Tanks stainless steel 18 gallon fuel cell. 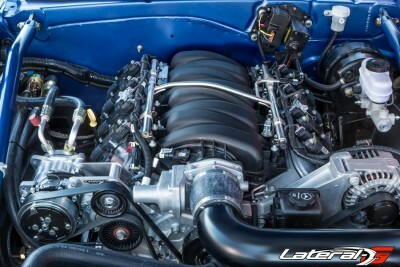 The LS7’s power is sent rearward through a Centerforce clutch, Tremec 6 speed manual transmission and finally a 9-inch Strange Engineering rear end with 3.89 gears and Posi-Traction. 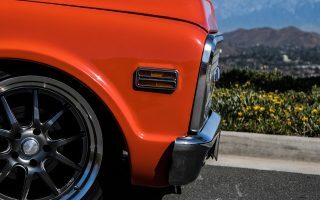 The task of making the CR1 handle like a modern race car was left up to Chris Alston’s Chassisworks and its tubular a-arm front suspension and its 4-link rear suspension system, with adjustable coilovers at all four corners. Larger sway bars assist in keeping the CR1 flat in the corners. Power steering is standard and controlled through a polished Flaming River tilt-adjust column. 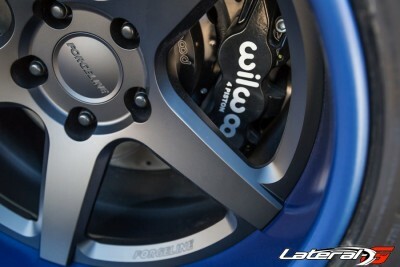 Braking has been handled by Wilwood with six piston calipers and 14-inch rotors at all four corners along with an adjustable brake proportioning valve. 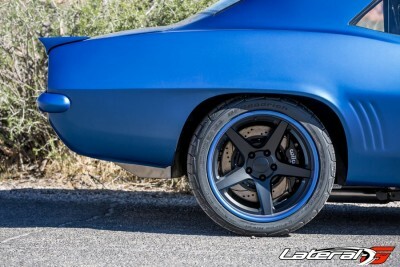 Sending power to the ground are Forgeline wheels wrapped in BFGoodrich Rival tires sized 275/35/18 in the front and 335/30/18 in the back. 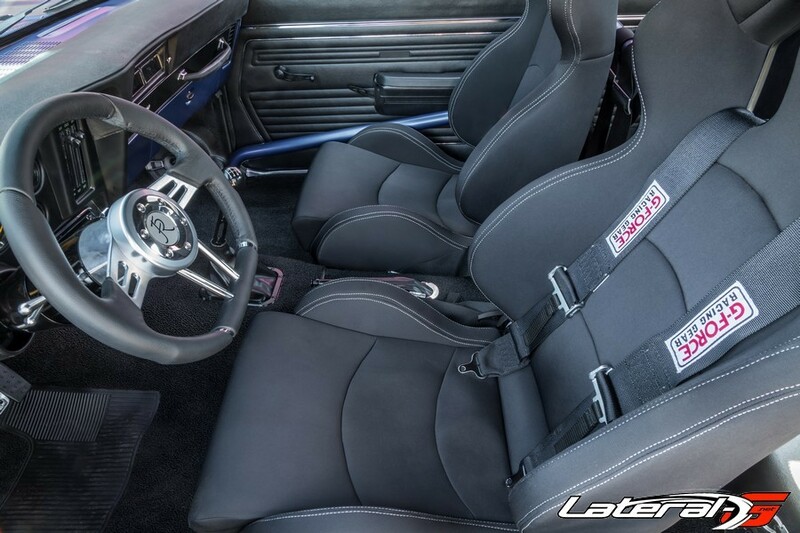 Inside the CR1, the classic Camaro interior has been brought into the modern age with an eight point roll cage by Chris Alston’s Chassisworks, Procar Evolution seats, five point camlock harnesses, Flaming River leather steering wheel and TMI Products’ door panels. The gauges have been swapped out for custom units that include a 200mph speedometer by Classic Instruments and vehicle occupants are kept comfortable via an Old Air Products A/C System. CR Supercars also makes sure that owners have a serious stereo with a JVC CD player with Bluetooth connectivity and a full suite of Kicker component speakers. The car was rewired with a Painless Performance wiring harness that is tied in with an Optima yellow-top battery. WARNING: Side effects of driving the CR1 Camaro may include sweating, irregular heartbeat, shortness of breath, feeling light-headed, giddiness, and extreme elation. Excitement will definitely last more than four hours, but there is no need to call a doctor. For more information on CR Supercars and the CR1 Camaro, visit www.crsupercars.com or stay connected socially on Facebook, Twitter and Instagram.